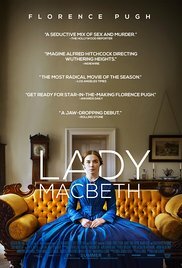 Lady Macbeth is a fascinating drama full of illicit passion and murder. Florence Pugh delivers a superb performance in the title role, ably assisted by her co-stars. The pacing was perfectly handled, the cinematography was beautiful, and all-up this was a well-produced film. Perhaps not one I'd watch again and again and never tire, but certainly well worth viewing at least once. It thrilled me enough that I would now like to seek out the book upon which it is based. This is one for the usual period drama fans for sure. Spiderman is not my favourite Marvel character, so I went to this film expecting only average; however, I ended up really enjoying it. Tom Holland makes a refreshing Peter Parker and we avoided a third origin story by picking up where we left Peter after Civil War. 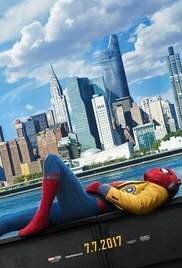 Though Michael Keaton's villain was nothing special, Spiderman:Homecoming was still a delightful fantasy-action film with plenty of humour and a good collection of in-jokes. Plus, I liked the fact that they made Keaton a winged villain--it constantly made me think of his performance in Birdman. All in all, another definite tick in the MCU box and now I look forward to Thor:Ragnarok. Don't bother staying for the end of credits sequence to this one though. While amusing, it's not important and therefore not worth the wait, especially as I missed my bus home for it!